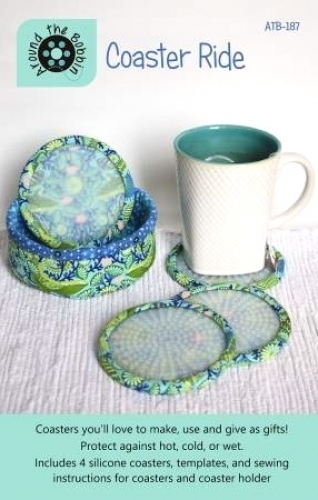 Create a designer silicone coaster set in a fabric holder. 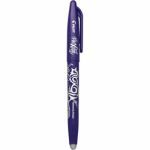 The silicone protects surfaces against hot, cold and wet beverages and your customers customize with their favorite fabrics. 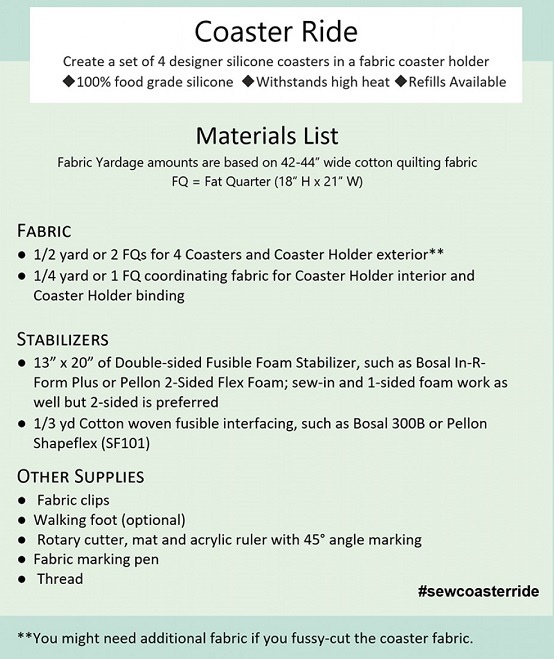 Four transparent silicone coaster pieces, instructions and template are included to make a set of 4 silicone coasters in a fabric coaster holder. Silicone is 100 percent food grade silicone and heat resistant up to 450 degrees.